It's Atlanta Pen Show time! Brad, Myke, and Ana are live in front of a studio audience at the 2017 Atlanta Pen Show. 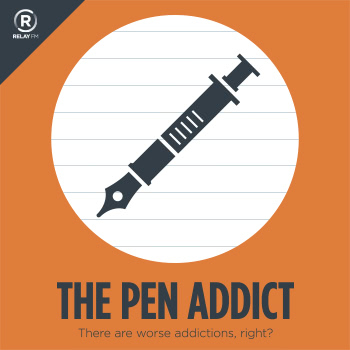 The crew are joined by Vito Grippi from Story Supply Co and Jonathon Brooks from Carolina Pen Company to talk shop and tell them why they're so awesome. Retro 51: Life’s too short to carry an ugly pen. Story Supply Co. – Story Supply Co.